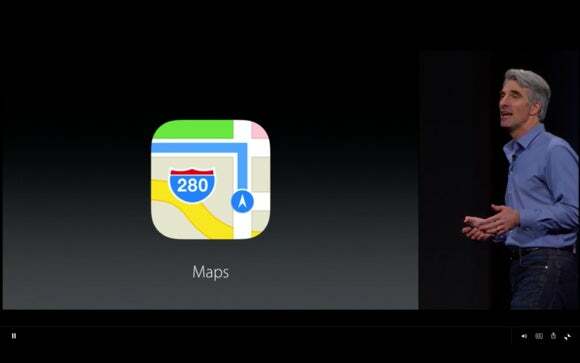 Apple's new public transit maps starts in 10 major cities in North America and Europe, plus 300 locations in China. 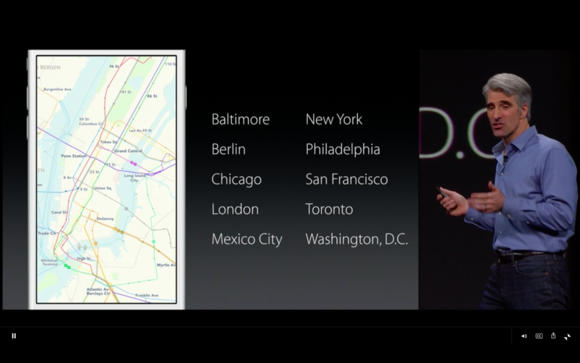 Speaking from the stage at this year’s Worldwide Developer Conference, senior vice-president Craig Federighi mentioned that Maps will soon provide dedicated maps and directions for public transit systems in a number of cities like San Francisco, New York, Los Angeles, Toronto, London, Paris, and over 300 locations in China. The company has gone as far as incorporating detailed surveys of individual subway stations into its data—a feature that makes the directions provided by Maps more accurate and timely. 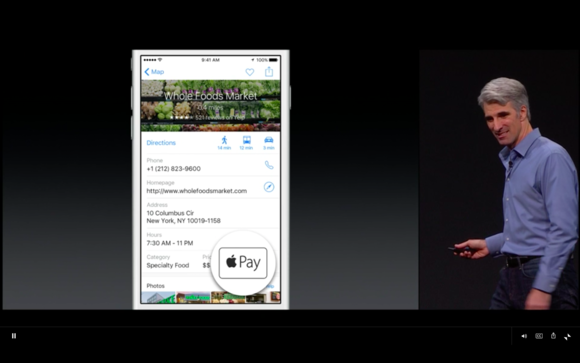 Local search results in Maps will show cards with photos, directions, store details, and an icon if the location accepts Apple Pay.